The upcoming Diaz vs Noons 2 event is getting better and better as three more matches were added to the October tussle. Get the undercard who's who from the article below. Strikeforce got three additional matches for the upcoming Diaz vs Noons 2 event, on October 9 at the HP Pavilion in San Jose, California. The three fights are a welterweight fight between James Terry and Bret Bergmark, a lightweight match between Jess Bouscal vs Luis Mendoza, and 185-pound tilt between Ron Keslar against Eric Lawson. James Terry is coming off a loss to Tarec Saffiedine at Strikeforce Challenger 6. But prior to that, he attained a back-to-back wins by defeating Zak Bucia twice in his two Strikeforce appearances. Bret “The Angry Hick” Bergmark, on the other hand, is fresh from a unanimous decision victory over Vagner Rocha at Strikeforce/M1-Global “Fedor vs Werdum” event. 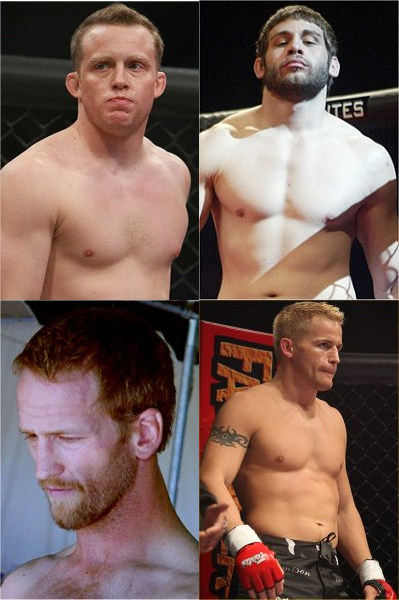 A Total Combat and Pacific X-treme veteran, Jess Bouscal has not fought since his lost to Ryan Biglar and will make his Strikeforce debut on the event. Luis Mendoza will do the same, as the October 9 event will mark his first professional appearance. Ron Keslar is coming from a second-round knockout loss to Chris Cope last June. But before that, he has four winning streak in organizations like Unleashed Fight and King of the Cage. Meanwhile, Eric Lawson already compiled a five straight victories before falling to Wayne Philipps’ armbar. These three bouts round-up the undercard line up of Strikeforce: Diaz vs Noons 2. To whom will you put your bet on?